On Nov. 19, 2018, Bernard Revel Graduate School was honored to host Prof. Moshe Idel to present a lecture on “The Great Transition: The Emergence of Jewish Culture in the Middle Ages.” Idel is Professor Emeritus at the Department of Jewish Thought, Hebrew University, Senior Researcher at the Shalom Hartman Institute, and Matanel Professor of Kabbalah at Safed Academic College. Prof. Idel explored why European Jewry were able to create such a huge literature between 1000 and 1300. To begin to answer this question, Prof. Idel drew upon Moses Gaster who theorized that European culture, in general, and Jewish culture, in particular was founded upon an invasion of Eastern culture. Prof. Idel proposes that different kinds of Jewish material, including Talmud, piyyutim, philosophy, and magic arrived in Europe from the East. In their countries of origin, these materials were studied by distinct circles. For example, some wrote piyyutim. Others engaged in philosophical study. European Jewry, however, did not know that each of these genres were utterly distinct and instead sought to coherently combine the various genres with each other and with their traditional texts of study and prayer. This process of amalgamation led to the creative explosion of European culture. One example of this process of amalgamation is Rashi’s commentaries to the Bible. Rashi quotes freely from the early kabbalistic work Sefer Yetzira to explain the book of Genesis. Another example is the inclusion of portions of magical texts and heichalot literature into the liturgy. Select material also became canonized upon its arrival to Europe. Piyyut, for example, was adopted as an integral part of Ashkenazi ritual. This spurred the creation of a new European genre, commentaries on piyyut. 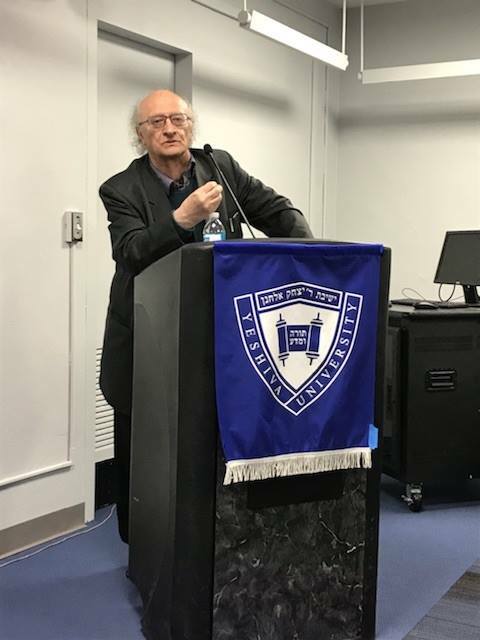 Prof. Idel further suggested that perhaps European Jewry felt a greater freedom of interpretation as they were operating in a relatively pure space, with fewer long-standing traditions in place.